Medellin needs an additional 2,000 police officers to safeguard its residents, according to the city’s security secretary of Colombia’s second largest city that has seen rising violence for years. A national mandate recently lowered the retirement period for higher ranking officers to 15 and 20 years. Prior to this, the police officers were allowed to retire under the same length of years, but executive officers were required to stay for an additional 10 years. 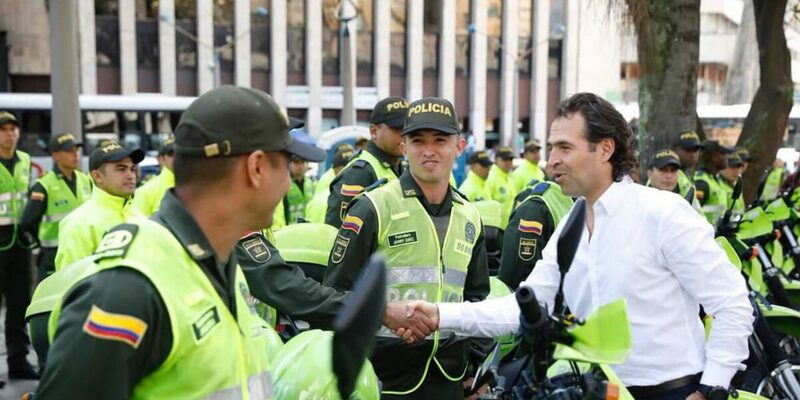 Security Secretary Andres Tobon told Blu Radio that in Medellin this will result in a shortfall of officers given that they are at the age of retirement. He estimated that 1,000 police officers have acquired the legal means to retire. And 300 of them have already requested it. The city’s Metropolitan Police, which is responsible for public security of more than 3.5 million in the metropolitan area, has approximately 9,000 policemen. The officers who are able to apply to retirement are localized in areas across the city including extremely violent districts such as Villa Hermosa and San Javier where local crime syndicate Oficina de Envigado and paramilitary group AGC are engaged in a turf war. Tobon also said that it would a pertinent security concern for residents in the city given an alleged national deficit of policemen. “Definitely it’s a concern of a local character, but more than that it’s a national [issue] in the face of the necessities of the police force,” the city’s top security official said. According to Tobon, 13,000 officers are set to retire nationally. The security secretary and Mayor Federico Gutierrez have been under fire over the deteriorating security situation in the city. Gutierrez initial security secretary was sent to prison last year for his ties to the Oficina. The mayor has also been criticized for reducing investment in social programs that would stimulate formal employment in marginalized areas of the city.